Smart Growth is Wanda Smith! Learn how Wanda lead her team at Symphony Placements to be one of the top flexible staffing firms in the region. 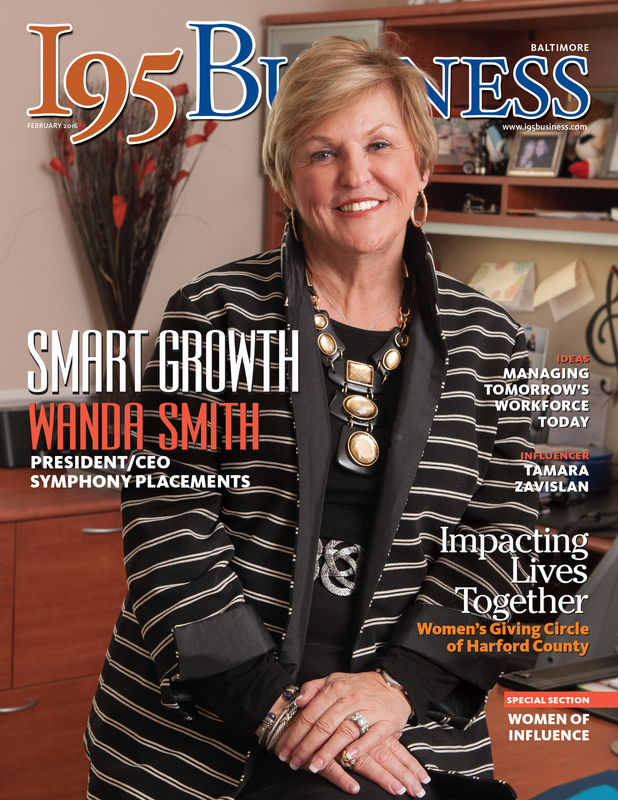 Featured as the Cover Story I95 Business Magazine February 2016. Leading a business in a very competitive industry has lead Wanda Smith to align with a highly experienced staff and employ smart growth strategies. Certifying Symphony Placements as a women owned MBE from the start proved to be one of her wisest decisions. Wanda shares how she navigated challenges over the past 10 years, expanded to Virginia and created a new IT Staffing Services Division. When most employers think of onboarding new employees, they typically have a list of to do’s focused on paperwork, meeting the staff, an office tour, vision statement and other tasks. But what is often left to last—or totally ignored—is a plan that focuses on making the employee feel welcome, appreciated, and part of the organization’s culture as soon as possible. While most organizations have thought out and mastered the technical part of bringing on new employees, few do the appreciation and welcome part very well.